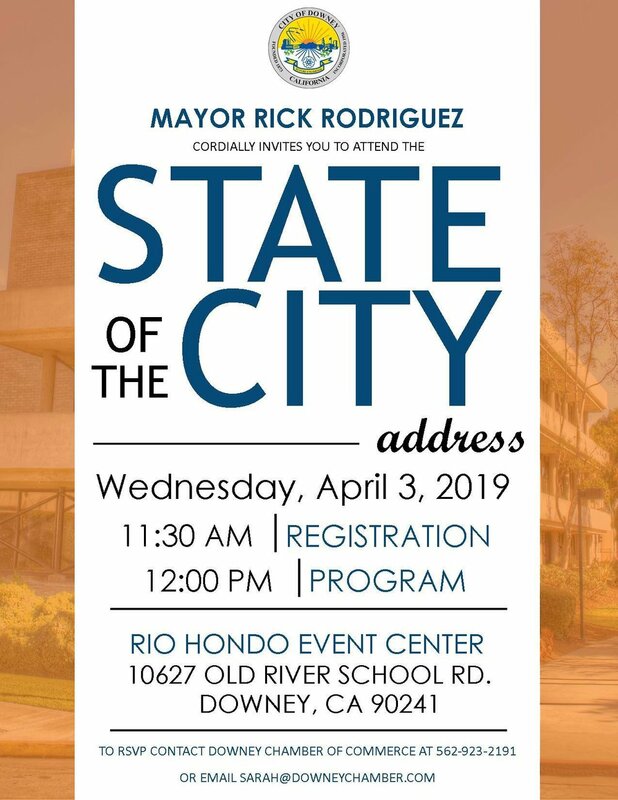 DOWNEY – Mayor Rick Rodriguez will deliver Downey’s annual State of the City address Wednesday, April 3, at the Rio Hondo Event Center. The luncheon begins at noon. To RSVP, call the Downey Chamber of Commerce at (562) 923-2191 or email sarah@downeychamber.com.